Dr. Jack Kevorkian was convicted in April 1999 of murder. 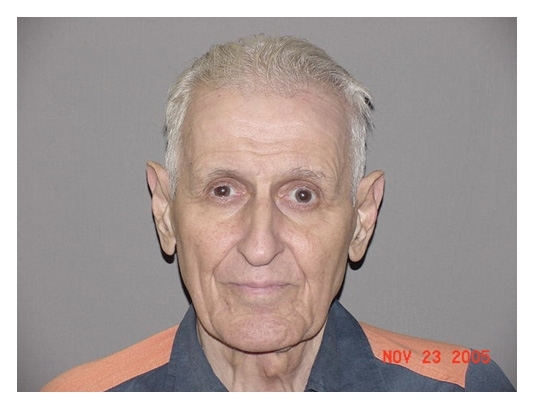 Photographed by the Michigan Department of Corrections, Kevorkian is serving a prison sentence of 10 to 25 years. The euthanasia crusader's conviction stemmed from his assistance in the suicide of a 52-year-old man suffering from Lou Gehrig's disease. A videotape of that suicide later aired on the CBS newsmagazine '60 Minutes,' and was used as evidence against him during his Oakland County Circuit Court trial. Submitted by Lexi The Thinker on Sat, 2010-10-09 15:27. I honestly think he wasa good man just trying to help some one end their suffering.